The Syracuse University Sport Management (SPM) Club will hold its eighth annual Charity Sports Auction on Saturday, December 8, at the Carrier Dome. All proceeds will benefit Special Olympics New York. Silent bidding on hundreds of auction items, including sports memorabilia and hands-on experiences, electronics, jewelry and more, will take place in the backcourt during the SU men’s basketball game against Monmouth University. Doors will open for the auction at 5 p.m. through Gates A, B, C and E. All other gates will open as usual at 5:30 p.m. The SPM Club is a student-run organization in the David B. Falk College of Sport and Human Dynamic’s Department of Sport Management and is open to students across campus. Since its founding in 2005, the club has raised more than $150,000 for local charities. Special Olympics is the largest amateur sports organization internationally and provides year-round sports training and competition for individuals with intellectual disabilities. More than 55,698 athletes in New York train and compete in 22 Olympic-type summer and winter sports. Locally, more than 2,000 athletes from Central New York participate in training clubs and competitions throughout the year. Special Olympics provides people with intellectual disabilities continuing opportunities to develop fitness, demonstrate courage and experience joy as they participate in the sharing of gifts and friendship with other athletes, their families and the community. 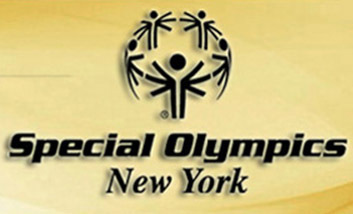 No athlete, parent or caregiver ever pays to participate in Special Olympics New York. The cost per season, per athlete, is approximately $400. Founded in 1968 by Eunice Kennedy Shriver, the Special Olympics movement has grown from a few hundred athletes to more than 3.7 million athletes in more than 170 countries in all regions of the world. The purchase of a game ticket for the Dec. 8 Syracuse men’s basketball game includes access to the Charity Sports Auction. Tickets can be purchased on the SU Athletics’ web site (http://suathletics.com) or at the Carrier Dome Box Office. Tickets can also be ordered by phone at 1-888-DOMETIX. Follow the Sport Management Club Charity Auction on Twitter @SU_SPM_Auction and at www.sucharitysportsauction.com for the most current information on the auction.